This week, May 2–7, 2011, Reformation Trust Publishing is partnering with Logos Bible Software to offer a free preview of John, the second title in the St. Andrew’s Expositional Commentary series by Dr. R.C. Sproul. 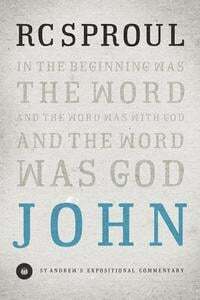 This introduction to the Gospel of John provides glimpses into the goals that John had in writing his Gospel, the background for Jesus’ time, and the meanings of some of John’s most difficult passages. Dr. Sproul offers insights and exhortations to draw men and women closer to the Savior, and encourage him or her to a greater depth of love and devotion to Him. John represents the fruits of a lifetime of biblical study as expressed in Dr. Sproul’s pulpit ministry at St. Andrew’s in Sanford, Florida. He has now begun to adapt those sermon series in book form, and the result is the St. Andrew’s Expositional Commentary series. Free book previews are a feature available through Logos Bible Software’s free app for the iPhone, iPod Touch and iPad. Simply download the app, create an account (or sign in) and enjoy the free preview. There is still time to get the thirty-five volume Reformation Trust Collection for $269.95 (retail $499). It includes thirty-five books by leading Reformed pastors and scholars, men who are adept at rightly handling the Word of God. Tabletalk magazine was formed in 1977 to provide a substantive study tool for believers. Though its format has changed over the years, Tabletalk continues to challenge and encourage readers to dig deeper into the Word of God in order that their lives may be transformed through the renewing of their minds (Rom. 12:1–2). Over the years, the magazine has been recognized for its excellence through several awards. Today, people all over the world read Tabletalk on a daily basis. 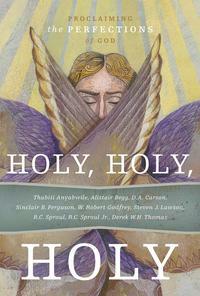 It is regularly found in seminary libraries and churches throughout the country. Logos Bible Software is making 264 issues available now through pre-pub for less than $1.40 an issue.